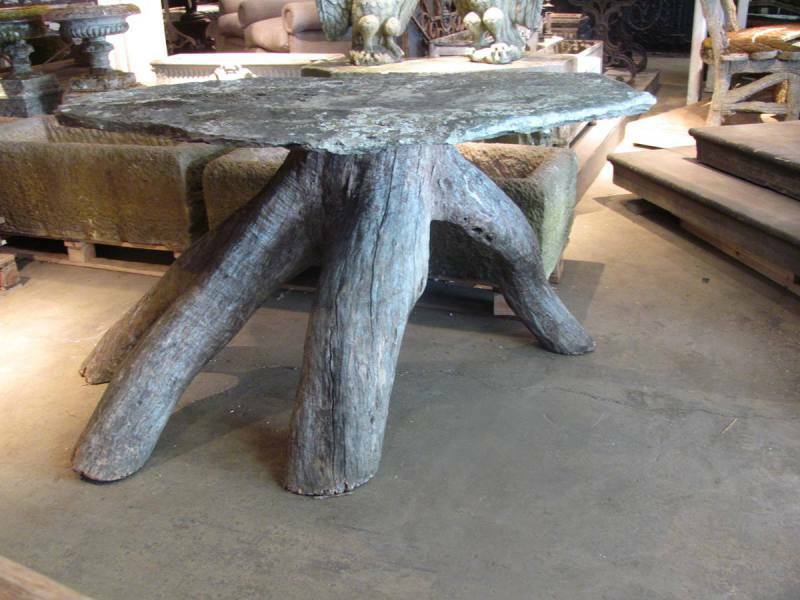 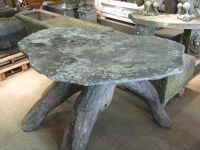 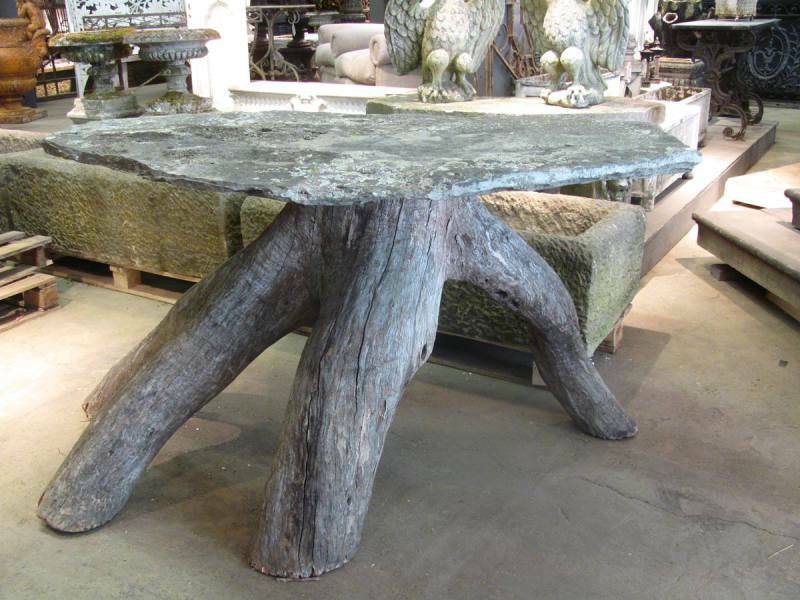 A one of a kind French naturalistic table. The base is a weathered tree trunk with four spreading limbs, with a moss and lichen covered aged slate top. 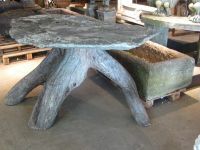 Measurements: Top: 56" X 38" Height: 33"